Welcome to yet another review on SilentMode.tv, and we’re breaking from the “norm” now by taking on another set from The LEGO Movie, which apparently came out yesterday in the UK. Having heard all kinds of recommendations and glowing reviews, I decided to go and see it at my local cinema, expecting The LEGO Movie to be your typical kids film with a retch-inducing Disney-level saccharine storyline. And guess what? It was a very good movie after all – I would encourage anyone who’s remotely interested in building using LEGO to go and see it (watching in 3D is completely unnecessary). As well as reviewing this polybag set, this is a good opportunity to try out a new way of doing reviews: short and to the point. I’d spent hours doing the Sunshine Ranch review, for which all I got was a snarky correction – so I’m doing a 180 to see how it goes. Rather surprisingly there’s hardly any fluff on the packaging, although the set is made to look larger than it really is. 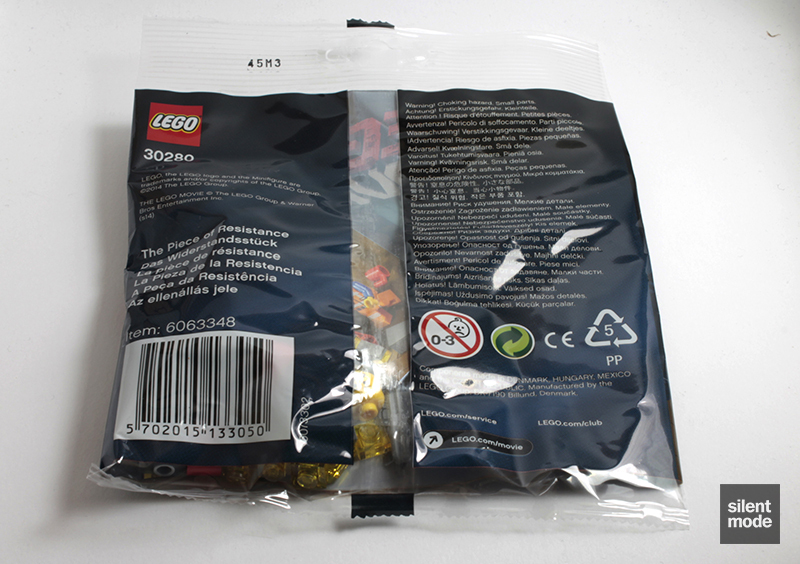 What seems to be missing at the back of the polybag is any kind of promotion for the movie: just the usual warnings about small parts await you. 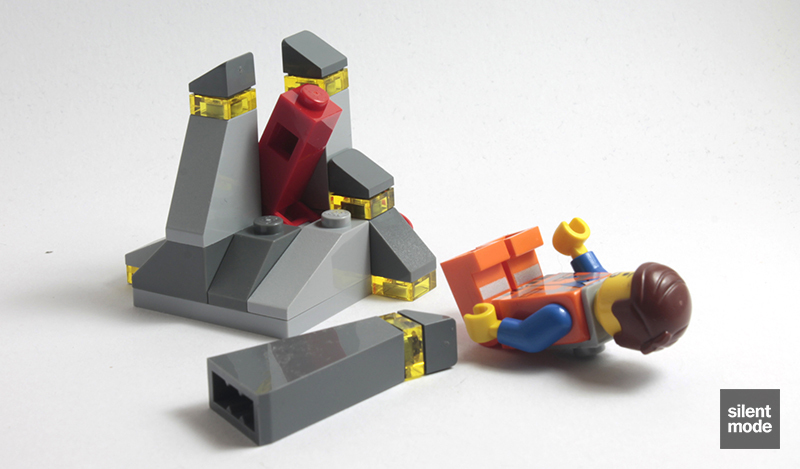 You’ll remember the Piece of Resistance from Melting Room, which is in one of a small handful of The LEGO Movie sets, and is reportedly going to make another appearance in Medium Stone Grey in the future. Missing from this photo is a 1×3 Technic axle in Medium Stone Grey: one of those parts that always seems to be hiding in the packaging before I throw it away. Fortunately I noticed its absence in time. 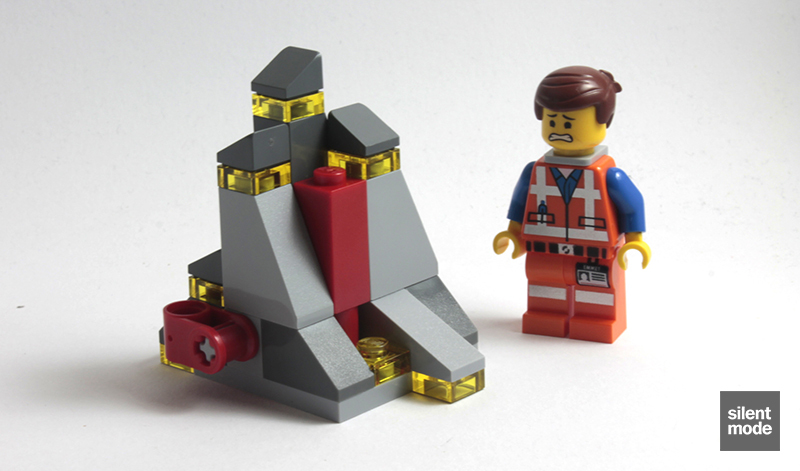 This set’s incarnation of Emmet has a double-sided head as usual, with the above expressions. I don’t know, but it could be that Emmet’s facial expressions are unique to each set he appears in – one very good reason to collect them all, and as one person commented, it would make him perfect for stop-motion animation. BOOM! and the piece is out. The most valuable of the leftover parts in my opinion is the spare neck bracket. Be sure to keep those other parts for your own creations, however. 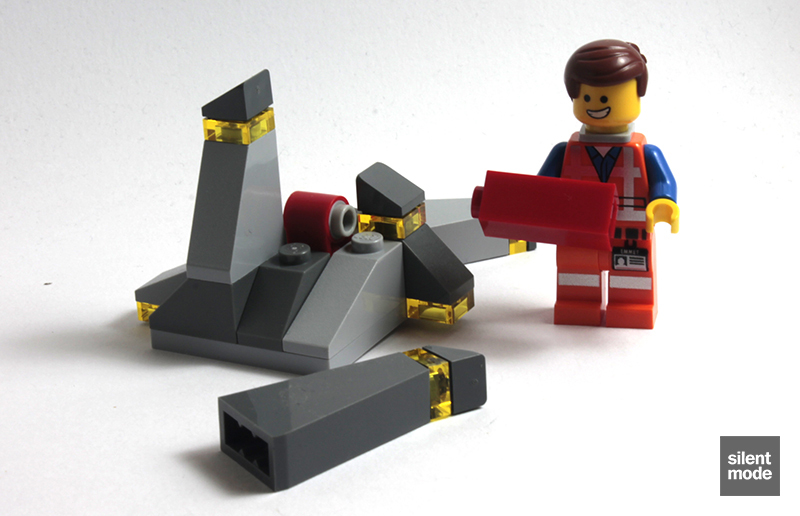 As with the other The LEGO Movie sets: having seen the film just a couple of hours ago, I would definitely recommend watching the movie before going out to buy the sets (unless you really like the look of them) to really appreciate them and how they fit into the overall scheme of things. 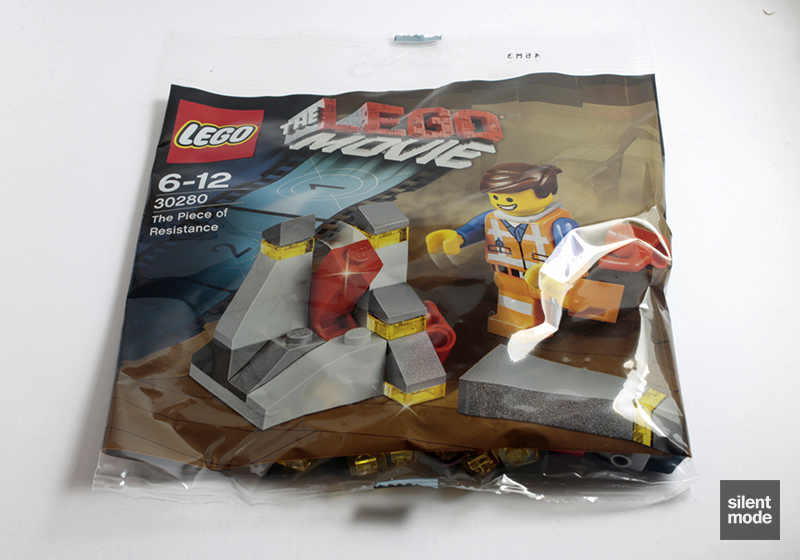 This set was a free giveaway with a minimum spend at the LEGO store, probably as an indirect way to promote the movie (in comparison to their printed adverts and ITV commercial break takeover), and along with some other exclusive polybags makes good memorabilia for the kids. You may see it in a future newspaper promotion, as with some of the other similar sized polybag sets of the past, but hopefully you’re not too late to get one by shopping with LEGO. People are currently selling them for upwards of GBP 4 on feeBay; I wouldn’t recommend paying more than GBP 3.99, or GBP 4.99 if you’re up against the wall. I’d give this set 6.0/10, influenced by the obvious scalping and the fact I’d watched the movie: it’s a keeper if you’re collecting all the Emmet variants for whatever reason.